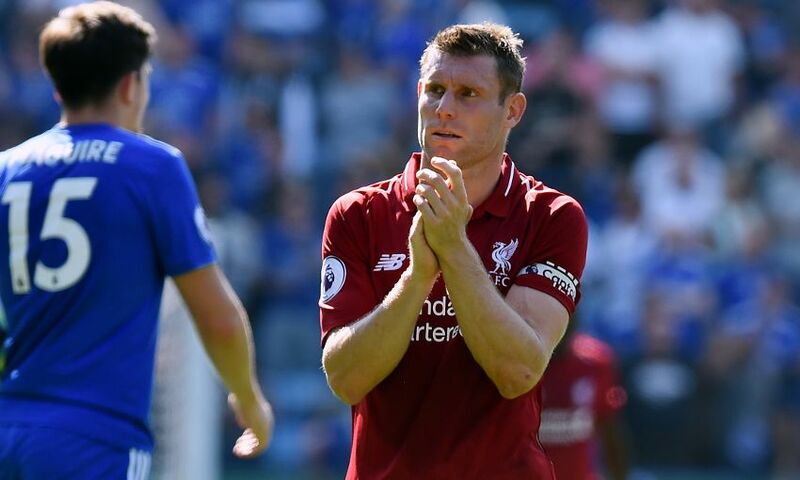 James Milner reached a significant career milestone when he provided the assist for Roberto Firmino's match-winning strike during Saturday's 2-1 Premier League triumph at Leicester City. The 32-year-old's first-half corner, which was headed home to put Liverpool two goals in front at the King Power Stadium, was his 80th assist in the English top flight. That incredible tally moves the Reds No.7 level with former Manchester United winger David Beckham. And only six players in the history of the Premier League have provided more passes leading to a goal. Next on the list is Liverpool legend Steven Gerrard, who holds the club record of 92 Premier League assists. 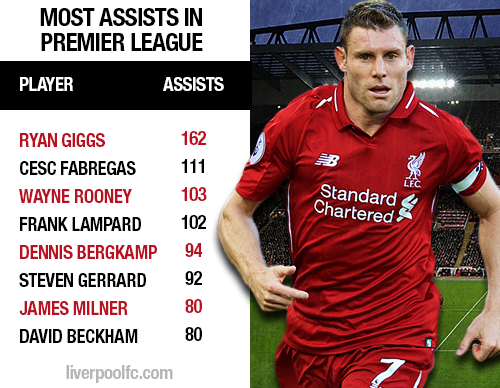 Milner, who played his 100th Premier League game for Liverpool on Saturday, has recorded 19 of his assists as a Red. The Englishman has two this season, after also teeing up Sadio Mane during the 4-0 opening-day win over West Ham United at Anfield. 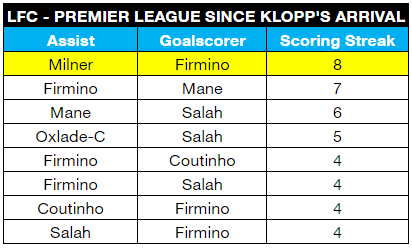 However, his link-up with Firmino has been the most prolific combination since Jürgen Klopp became Liverpool manager in October 2015. According to Opta, Milner has set up the Brazilian for eight top-flight goals. Firmino's combination with Mane is next in the list, the No.9 having set up the Senegal forward for seven strikes.